Tastes on the River Returns! 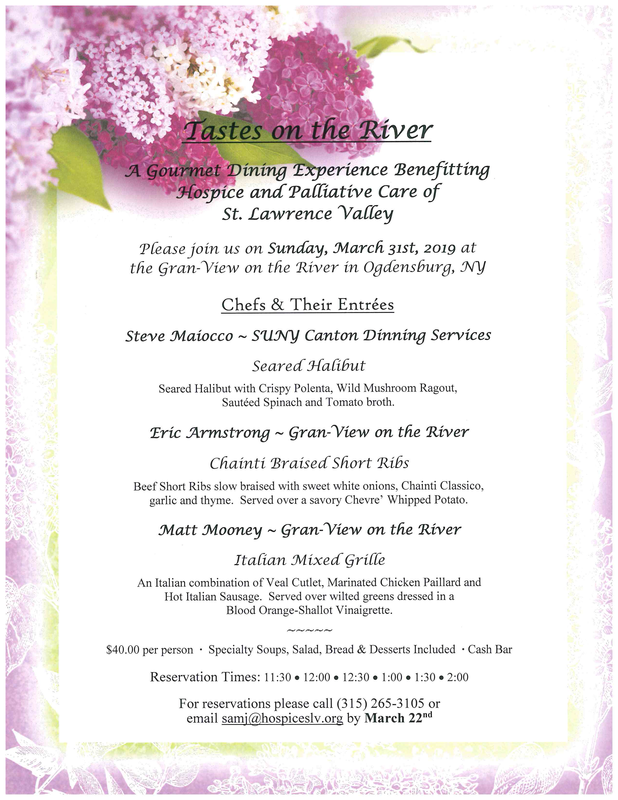 Our annual spring dining event is back on a new date; Tastes on the River will take place on Sunday March 31st at the Gran-View on the River in Ogdensburg, NY. As always, guests can expect a fabulous four-course dining experience prepared by our celebrity chefs and other generous donors and volunteers. Tickets are $40.00 and are on sale through Monday, March 25th. Purchase your tickets online or by calling (315) 265-3105.